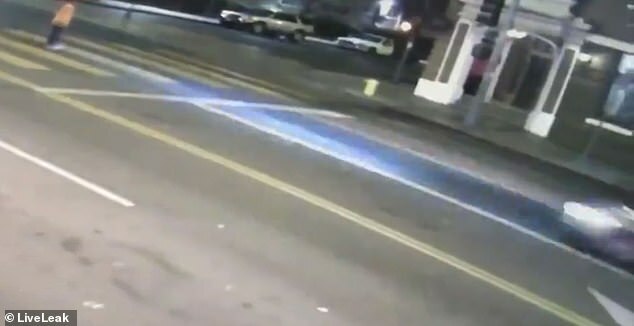 Los Angeles police released surveillance video of a hit-and-run that left a man with severe injuries and are asking for help identifying the driver of the car. 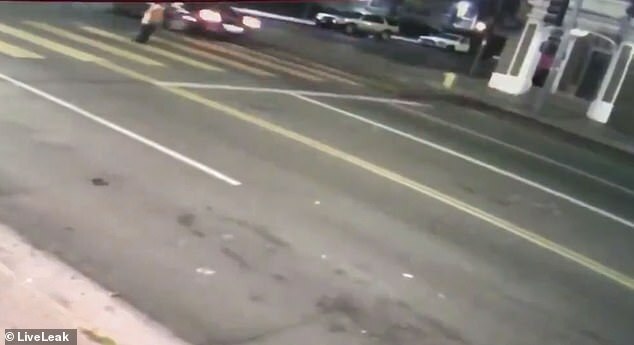 Surveillance video caught the moment when a man, who was crossing the street against the light, was struck by a car that did not stop on Saturday at about 10.30pm in Los Angeles. The video shows the approximately 50-year-old man — who was not carrying ID and is being called ‘John Doe’ — using the pedestrian crossing at Third and Witmer streets. He can be seen stopping to let a car drive by, but just seconds later, as he turns to face oncoming traffic, he gets walloped, head-on, by a greyish car that doesn’t appear to even try to slow down or avoid hitting him. 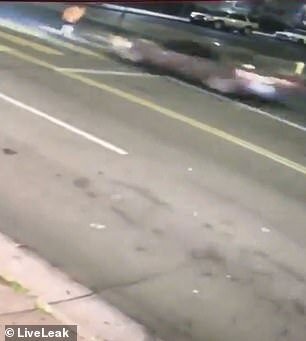 Authorities told KTLA that the driver of the car did not stop after hitting the man, even though the driver had the green light. The man was taken to the hospital for treatment of severe injuries. He is said to be in critical, but stable condition on Sunday. The LAPD believes the car that struck the man was a Honda and may have been either gray or silver in color. There is no information available yet about the driver. 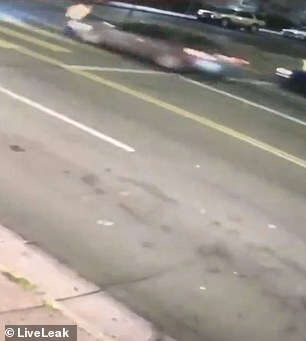 Anyone with information about the incident or the driver of the car is asked to call LAPD Central Traffic Division detectives at 213-833-3713. Information leading to the arrest and conviction of the driver could be eligible for a $25,000 reward as part of the city’s standing reward program for information about hit-and-run drivers involved in injury collisions.